Climatic Controlled Environmental Rooms for Healthcare - Labworks International Inc.
Labworks International understands Healthcare. Our staff are specifically trained in designing and installing solutions in hospital environments including infection control, safety regulations, Canadian Standards Association requirements, and FDA standards. 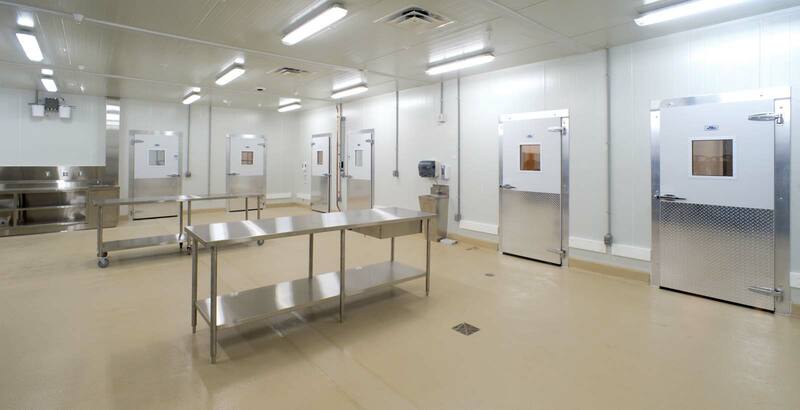 Specialized climatic controlled environmental rooms are offered for laboratory spaces, drug storage rooms, food storage and preparation, blood products storage, morgues and mortuary rooms. 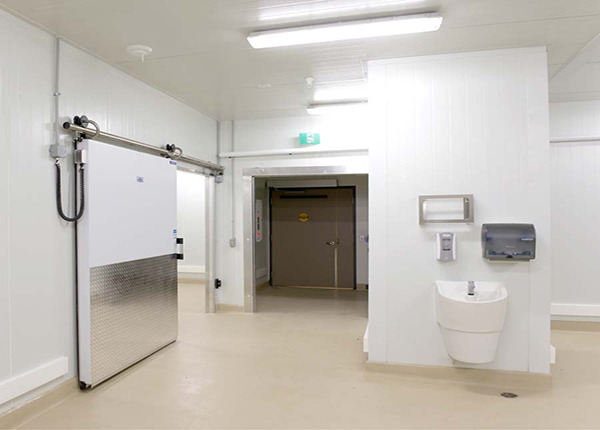 Food storage rooms specifically designed for sub-zero operation. Labworks design maximizes space and is designed for fail-safe operation. Custom design allows each space to be specially matched to your facility. In our freezer room design, no details are overlooked including floor heating, automated door operation, efficient defrost, and redundancy. 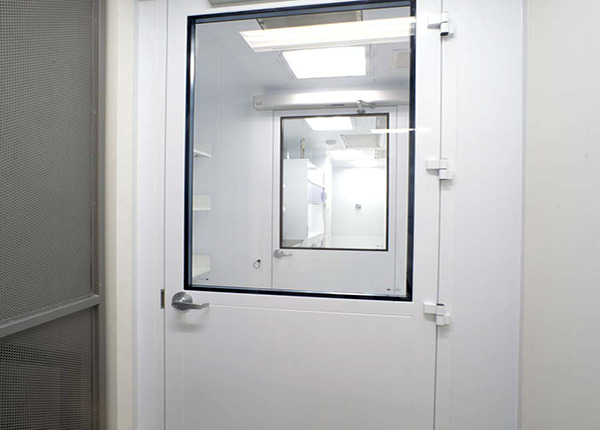 Labworks offers a unique advantage in our cold room installations. Our LabTech refrigeration unit mounts above the cold room with no parts inside the space. It is very cost effective to install as it is pre-tested and packaged, only requiring an electrical connection once installed. No drain lines are needed and cold room space is maximized. 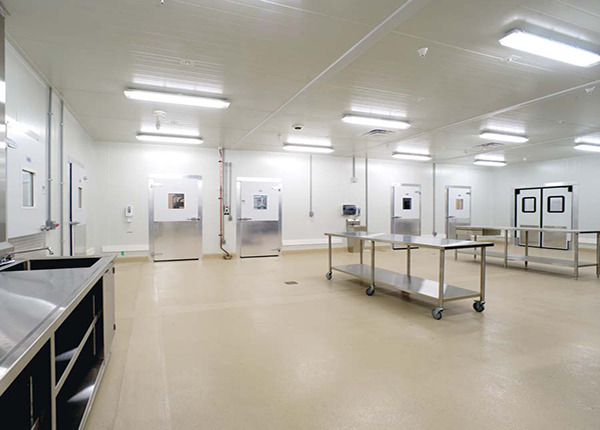 Labworks provides a complete solution for food preparation areas including conditioned space, equipment racking and work tables, as well as transport equipment as needed. Special attention is paid to design details to ensure proper ventilation and humidity control of the space, as well as ergonomic factors for employees. Throughout Healthcare facilities there are requirements for Environmental rooms. 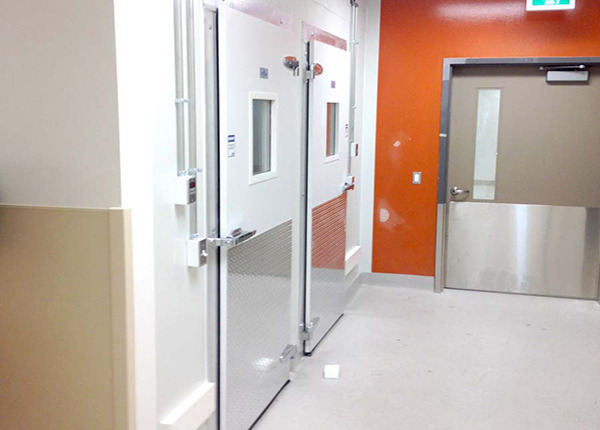 Whether it be for pharmaceutical storage, blood banks, incubators, or research areas, Labworks can custom design an Environmental Room to meet your requirements. We offer a full range of room construction with standard or redundant systems, insulated panel construction, full industrial grade control with BACNET compatibility to most BAS systems. Racking and fit out of the space with lighting, electrical supply, filtration, and ventilation forms a complete turn-key package.